What Causes Stress? – Never Ignore These 12 Most Common Causes Of Stress And Here’s Why! A constant pressure by your boss to meet the deadlines! Never ending tantrums thrown by your children, and the worst of all, a bunch of bills to pay! Is this your perspective of what causes stress? If so, you need to broaden your views, because stress can occur anywhere anytime based on other reasons too! Here are all the possible causes of stress, types of stress and how stress affects your health on the overall! Causes Of Stress – 12 Different Causes You May Come Across. Find Out Your Cause! Eat, Sleep, work and repeat! Is this your life schedule? Most of us miss out on happiness just because of the shackles of busy life timetables that we have locked ourselves with. We miss out the opportunity to look at the beauty in little things that life has always been offering us free of cost and the reason for this? We are tired of battling with our own thoughts that have been putting out minds to a heavy stress. 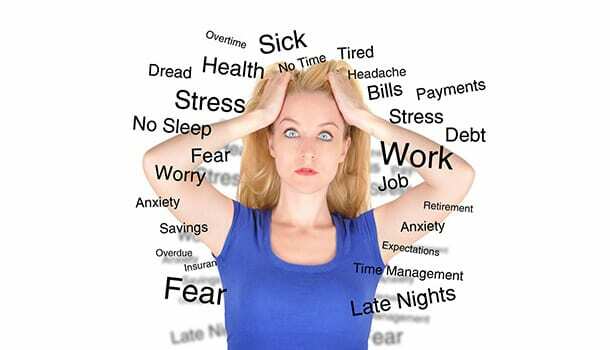 Let us explore more on what causes stress and various reasons that are related to both professional and personal lives! Causes Of Stress Due To Professional Problems! How happy we are in life does majorly depend on how we spend our time at work. This is because, on an average, we dedicate 90,000 hours of our life towards work. So, if we are not happy enough with our work life, this could become one of the biggest causes of stress. Here are some factors from your professional life that could be increasing your stress levels. American Psychological Association says that having a lot of bills to pay and owing a lot of debts can cause the people to adapt themselves to various unhealthy habits. Effects of stress on the body are majorly caused due to stress that is being dealt while coping up with the financial troubles. 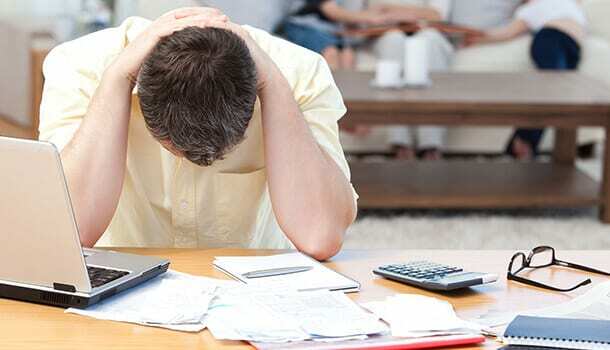 Sources have to say that nearly 3/4th of Americans have admitted that dealing with financial problems is one of the main causes of stress in their lives. We all have to admit that extended working hours, the pressure to meet the work requirement and looking for ways to get a quick promotion is something we all strive for. Knowingly or unknowingly we have been dealing with a lot of stress in order to survive and prove our worth in our work life. Balancing work and personal life has become a big challenge and very few have been able to master this. According to the American psychological association (APA), 2017 stress statistics reveal that about 61% of people in the United States are being subjected to stress caused due to work load. The first thing that strikes our mind when we get reminded of work stress is an extensive workload, but not many know that a lack of proper work environment can demotivate the employee to such a huge extent, it can even subject the person to depression. Bullying at the workplace, verbal abuse and making the person feel isolated are the main causes of stress that is unfortunately related to the environment in which we choose to live and grow. A lack of healthy work environment can put a person’s mind through a lot of emotional stress which is one of those major causes of stress that goes unnoticed. 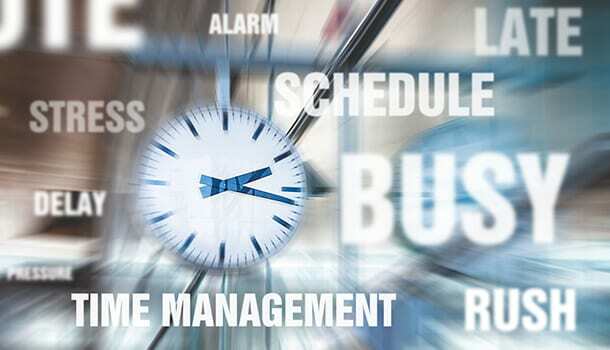 A continuous busy schedule devoid of any breaks can put your mind through a lot of thinking. You will lose yourself in an ocean of thoughts because your mind deliberately wanders in an attempt to fulfil your tasks that are lined up back to back. You can calm down for a while and take a week off before your mind is all set to work in a much productive way if you feel imprisoned due to a lack of break in your tightly scheduled busy life. Being fired directly hits your self-esteem. More importantly, it becomes a question of prestige in the society. Like fuel added to the fire, losing a job can also make a person worry about his financial status. A major reason for stress for the people who are laid off is that their source of income is stopped and they have to look for another source of living. Unemployment is and will always be on the most prevailing causes of stress. More than half of the American population is said to be suffering from personal problems and this not only includes responsibilities and relationships but also other factors which have been mentioned below. One personal problem that is difficult to deal with is infertility. 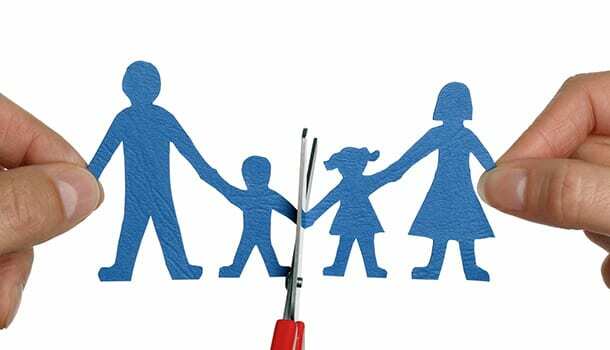 Most of the women who suffer infertility problems isolate themselves from the family and the society with the fear of being judged and in a disappointment of not being able to conceive. Being stressed can further worsen the condition because this causes hormonal fluctuations which reduces the chances of getting pregnant. There was a study that was conducted on the production of Alpha-amylase by the salivary glands and its correlation to pregnancy and stress. It has been proved that the enzyme is usually produced when a person is subjected to stress. When a study was conducted to observe the release of the enzyme, it proved that pregnant women who were detected with an increased production of salivary amylase had a very few chances of getting pregnant when compared to others. A constantly wavering mind, being fickle minded and a lack of self-esteem are common symptoms of emotional weakness. When a person is emotionally weak, he can also subject his mind to immense stress and strain because of overthinking. Emotions on a huge level are impacted by the ongoing chemical activity in your brain which makes you behave and act in a certain way. A vast majority of people who are emotionally weak have faced a troubled childhood which has impacted their emotional stability. People who are weak and incompetent at an emotional level tend to overthink the situations which makes them feel stressful. One of the causes of stress that may often go unnoticed is an emotional weakness. We form a misconception that stress can only occur due to external factors or other mental health problems. But, there are certain physical disorders that directly cause a mental stress. If your friends or family have been suffering from any of the following physical illness, there is an immediate need for you to take proper care, support and comfort them in the best possible way because they could be battling with the disease emotionally which can make them feel stressful. Following are some physical disorders could be the causes of stress. 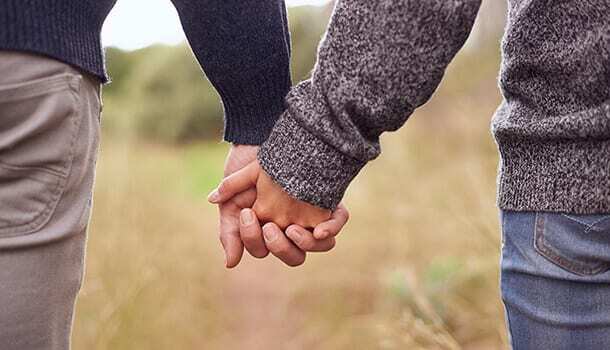 You can consider yourself lucky if you have found a good partner with whom you are connected at an emotional level because most of the couples are said to be having conflicts and misunderstandings between them which makes them feel stressful as they cannot cope up with their personal and professional lives. It is unfortunate to hear that stress continues to persist even after the relationship ends and in some cases, the very fact that the relationship has ended becomes the cause of stress. When things end, we feel that our mind is just aware of the fact that a person whom we have loved so deep can no longer be a part of our lives. But, it is quite surprising to know that there are a lot many changes that occur in our body some of which make us feel excessively stressed and emotionally drain us. A study which was conducted on people who have experienced breakup proved the chemical activity in the brain of such people (when the picture of their ex-was shown) was similar to the brain activity of people who have withdrawn themselves from cocaine addiction. This indicated that such people have begun to experience cravings when the pictures of their ex-were shown. Adrenaline and cortisol are the two hormones that get released when you are subjected to stress. Surprisingly it was detected that there was a surge in these hormones in the people who have experienced a breakup. Nothing can cause much emotional pain and suffering than that of the death of the dear ones. People are irreplaceable and this makes us difficult to accept the fact the person has left our lives. Our mind definitely needs some time to get accustomed to the fact that the person is no longer a part of our journey. It is during this stage that we go through a lot of mental stress and our emotional energy gets completely drained out causing anxiety and depression. We may also feel lonely and isolated to such an extent that we may feel disconnected from the world and from the people who are actually a part of our lives. In fact, people suffering from such an emotional trauma are said to experience heart problems and in some cases be susceptible to a heart stroke because of the hormones that get released when a person is subjected to stress. Raising children requires a lot of patience and ability to understand them because they turn out how you shape them and as a parent or a guardian, it becomes a huge responsibility for you to shape their mindsets and prepare them for the future. Parenting is a stressful phase if you are in an attempt in building your professional career and balancing it with your personal life. The matter becomes more of a concern especially when you are a single mother of newborns. However, you can choose to make a wise decision by not yelling at them as this will only drain out your energy levels. You can engage them in recreational activities and spend some playful time with them to relieve yourself from work stress. It is interesting to know that stress is of different types and not all types of stress are bad for health. Let us have a simple glance at the three basic types of stress and when they occur. Acute stress is the type of stress that occurs when you go on a ride that makes your heart beat wild and fast. Experiencing an acute stress every once in a while can be healthy because it makes your brain alert and active and makes you prepared for the future response. Acute stress can be cured if you maintain a clarity in your thoughts and strive towards abolishing your negative thought process. 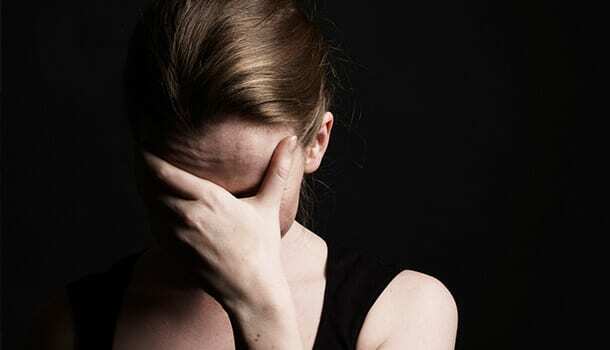 But it can affect your mental health severely if you continue to experience acute stress too frequently and it can also lead you to a condition called post-traumatic stress disorder called (PTSD). A person who experiences acute stress more often may get subjected to episodic acute stress. This type of stress can occur in people who have more complex emotions such as getting angry over silly things, being overly anxious all the time and looking at everything from a negative perspective. People who experience episodic acute stress most of the times feel pressurized because they take up too many responsibilities at once and cannot accomplish them. It is interesting to know that people with episodic acute stress can be categorized into two different personalities. Type A Personality – People falling under this category are usually excessively competitive with an aggressive behaviour and they lack patience which makes them subjected to stress. Though they are overly ambitious, they are worried about the outcome of their performance because of high insecurity. Worry Warts – You can easily differentiate these people from the first category because you will see a kind of negative perception in worry warts. While People belonging to Type A personality seem to be highly ambitious and competitive, worrywarts tend to have a negative perception about almost everything in life. Anxiety, depression are the common symptoms of these people because they feel vulnerable all the time and live in a belief that something bad is about to happen. A chronic stress by name suggests that this type of stress remains persistent throughout your life. This is, in fact, a severe stage of acute stress and it can occur due to the following reasons. People suffering from chronic stress give up on their hopes and live in such a complex state of mind, they stop looking for answers and do not make an attempt to hear solutions for their life problems. They undergo such a trauma, they feel disconnected from the world and get subjected to suicidal thoughts. Their mental health is so deteriorated; they could even experience a heart stroke. Here is a list of various signs of stress categorized into behavioural, cognitive, emotional and physical symptoms so as to make the identification easy for you. Unable to calm oneself and not being able to feel relaxed. Sleepless nights and being worried, sad and depressed are of course the major effects of stress on your mental health. But, if you have been thinking that stress can only affect your mind, here is what happens to your body when you are subjected to stress! Fertility problems in a woman can occur due to stress because feeling stressful can reduce the flow of blood to the uterus and this can also reduce the chances of implantation, which means the attachment of the fertilized egg to the wall of the uterus. Fertility problems caused due to stress are not only a matter of concern in women, but most of the men also face complications such as erectile dysfunction, low libido and stress can also lower the sperm count. This is because the hormones that are needed to produce sperm may be predominated by the hormones that get released due to stress. You should be ovulating 10 -15 days prior to your periods, but ovulation as a natural process may not occur in women who are subjected to stress because of hormonal fluctuations. Your body releases various hormones when you are subjected to stress and these hormones may interfere with estrogen levels and this hampers the process of ovulation causing irregular periods. 3. How Stress Increases Your Blood Pressure? Being subjected to stress can increase your heartbeat causing your blood vessels to become narrow. This increases your blood pressure and increases the chances of a heart stroke. You can indulge yourself in recreational activities to regulate your blood pressure and to reduce the risk of cardiovascular health problems. While headaches can occur due to internal health problems such as a migraine or other health issues, tension headaches are those type which affects most of the people because of stress. However, tension headaches can be identified very easily. You may feel stiffness on your forehead or you may also experience tightness or rigidity in the neck and the back. Stress headaches or the tension headaches as they call it usually occur once or twice in a month. Your immune system has to fight off the antigens to keep the diseases at bay. But, when you are subjected to stress, your immune system may not release enough antigens and this will eventually make your immune system weak. Also, stress can decrease the number of lymphocytes which are responsible for releasing antibodies that fight the disease-causing cells. 6. Does Stress Cause Breathing Troubles? 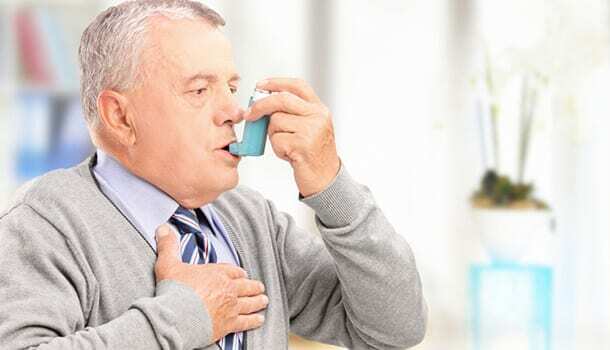 It is quite surprising to believe that stress causes breathing problems, but the fact is that stress may not cause any long-term breathing problems or pulmonary diseases, but it can cause a temporary breathing trouble. Anxiety is the most common problem caused due to stress which causes your muscles to become tight and rigid and this makes you breathe even faster. You will experience a shortness of breath making you feel more anxious about your condition. When your body produces enough amounts of insulin, your energy levels are good! This is because insulin is responsible for converting the glucose into energy and supplying it all over your body. 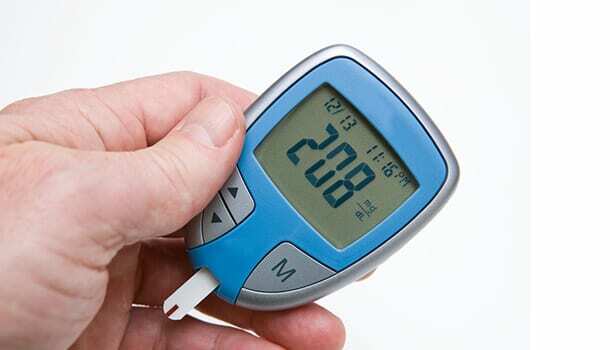 A dysfunctionality of the insulin hormone or an improper production of this hormone can cause the blood sugar levels to pile up because there will no conversion (glucose to energy) without a proper functioning of insulin hormone. Being subjected to stress does not let your body to produce insulin hormone appropriately and this causes an increase in the blood sugar levels. 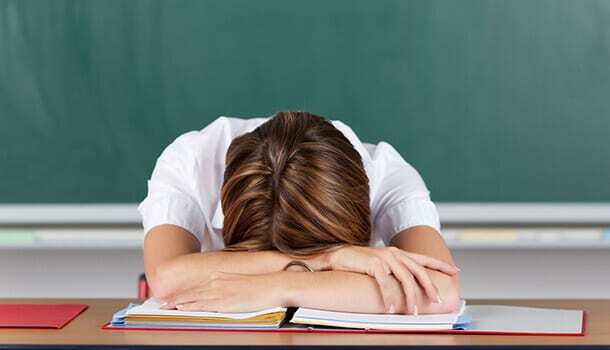 Experiencing nausea, headache and other digestive issues is common when you undergo stress and it is very much evident from the fact that you may experience these symptoms more commonly whenever you have to take up that big test or while getting ready to play a big game in front of a huge audience. This is because stress causes some significant changes in your body.